A work accident that erupts when a company fails to follow the necessary safety precautions put in place by OSHA. A car wreck caused by a distracted driver who was texting behind the wheel. A pharmaceutical company that produced and marketed a product they knew was defective but ignored the telltale signs and warnings from the FDA. Any of these things can lead to the wrongful death of a loved one, and no one responsible for such a disaster should escape blame. If something like this has happened to a person close to you, then you need to consult the Nagelberg Bernard Law Group. For more than 30 years, we’ve helped those persons who have had their lives irrevocably altered by negligence gain compensation in the midst of the grieving process. 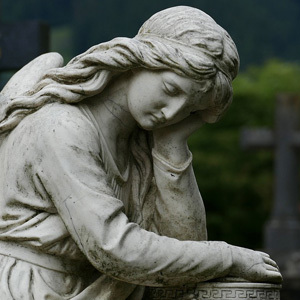 Our Pacifica wrongful death attorneys want to help you get what you’re rightfully entitled to and punish those responsible for your terrible loss. You should be occupied with mourning your loved one and helping your family cope with this terrible incident, not haggling with an insurance company that seems bound and determined to prevent your proper financial compensation. Let us negotiate with the insurance giants while you and your family put back together the pieces of your life. We will evaluate an accident from all angles and use the available evidence to present your claim in a factual, successful manner. We will do anything within the means of the law to prove negligence and show the pain, heartbreak, and financial burden that an accident has imposed on you. Money can never bring back the loved one you’ve lost, but the negligent parties need to face some form of punishment beyond a slap on the wrist, otherwise an accident could just happen again. Don’t wait another minute to do right by your family. Dial the number on your screen or fill out the form on this page. Our lines are open around the clock, and within seconds, a member of our expert legal staff can provide you with a free consultation on your case. Correct the injustice that your family has had to face. Contact the Pacifica wrongful death attorneys of the Nagelberg Bernard Law Group today.